A correctional officer was shopping in a Home Depot store in California when a palm tree for sale fell onto her back, which caused her injuries requiring surgery and left her unable to work. A welder in Boston broke his shoulder after falling off a ladder purchased from a Home Depot when the top rung collapsed. A man driving in Tennessee was hit head-on by a Home Depot delivery driver nearly costing him his life. What do these people have in common besides their connection to Home Depot? They all received six-figure payouts from the company. Regular Home Depot shoppers got a shock last year when the company revealed that customers’ credit card data had been compromised, but that isn’t the only accident the company is trying to clean up. The trend of customers incurring injuries at the retail chain’s stores or from using their products has been less high-profile. Statistics on Home Depot accident claims are difficult to find because the company keeps those numbers highly confidential. Lawyers who work for Home Depot are required to sign confidentiality agreements so that information does not see public light. The most recent statistics come from a court ordered disclosure in 1998, which documented 185 accident claims every week in stores across the country for that year. From a realistic standpoint, accidents are bound to happen when you have hundreds of stores with thousands of customers in an environment with heavy machinery and many potential hazards. However, that does not excuse store owners of responsibility, and accident attorneys have played a big role in keeping companies on their toes to prevent accidents and making them pay up when they do occur. Home Depot wants to avoid lawsuits at any cost. If you have a legitimate claim against them, an aggressive attorney may get Home Depot to agree to pay you a reasonable sum to avoid going to trial. If a store manager or other employee tries to suppress evidence by erasing surveillance footage, an attorney can help you get to the bottom of it. Whether it’s a trip or a slip inside the store or in the parking lot, you deserve retribution if an employee could have prevented the circumstances leading to your injury. “Reasonable care” is up to some interpretation, which is why hiring a lawyer is so important when pursuing an accident claim. Tort law in California requires proof that the dangerous condition persisted for long enough that someone should have noticed. So, for example, if a plaintiff can prove that the hazardous condition persisted because an employee failed to do a routine safety inspection, that could possibly indicate a lack of “reasonable care.” If an employee directly causes the hazardous condition, then they legally “knew” about it, even if it was unintentional. For example, if an employee stacks inventory too high and it collapses on the customer, the employee knew about that hazard and the store may be liable. No one wants to get rich by getting injured. When accidents do happen, you want to make sure they don’t ruin your health or financial future. Large retailers have deep pockets and a legal team of their own. They need to be punished with big fines when they make mistakes so accidents remain rare. 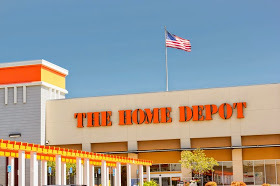 If you have been injured at Home Depot, call an accident attorney to make sure you not only get your day in court but are adequately compensated.